ARLINGTON, VA - January 29, 2019 - Hobsons, the education technology leader and company behind Naviance, announced today that Dr. Kim Oppelt, Director of Research will present at the School Superintendents Association (AASA) National Conference on Education 2019 at 9:00 a.m. (PST) on Thursday, February 14. The School Superintendents Association (AASA) is an organization of more than 13,000 educational leaders from across the United States and the world. AASA advocates for equitable access for all students to the highest quality public education, and develops and supports school system leaders. Approximately 3,000 superintendents will be in attendance at the 3-day National Conference on Education from February 14-16. Dr. Kim Oppelt will moderate a panel with Dr. Jeff Butts, Superintendent of MSD of Wayne Township, and Dr. Susan Enfield, Superintendent of Highline Public Schools. The panel, “Preparing Life-Ready Students: Expanding the Definition of College and Career Readiness,” will be held at the Los Angeles Convention Center in room 513. The panel will discuss the need to expand the definition of college and career readiness to incorporate social-emotional, interpersonal, and transition skills that students need to thrive post-high school. This expert panel of district leaders devoted to preparing life-ready students will discuss the strategies, partnerships, and funding their districts leveraged to prepare their students to succeed in whatever path they choose. 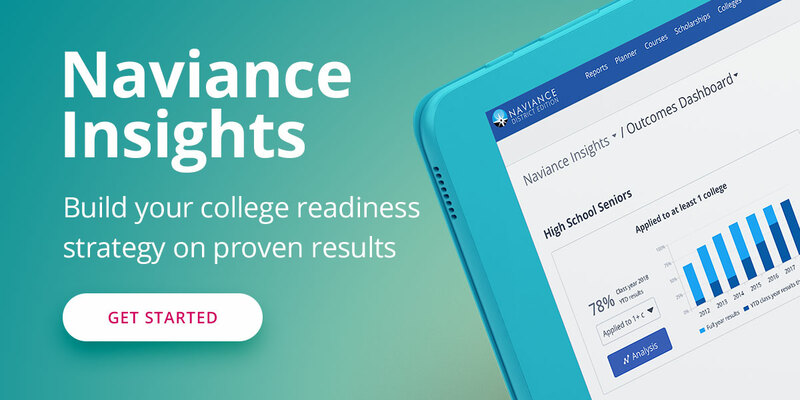 Conference attendees are invited to stop by Naviance by Hobsons’ booth (#301) to speak with Naviance team members and pick up a complimentary copy of the recent Naviance white paper, Expanding the Definition of College and Career Readiness.